Not long to go now until the October half-term holidays and this year is doubly exciting with Halloween falling in the same week – lots of reasons to get the family out and about to enjoy what’s on offer for kids and parents alike. If you’re looking for some inspiration for how to enjoy the half-term with your family, then you’ve come to the right place. I’ve been searching the internet up and down the country to find out about some of the coolest and most enjoyable activities for all the family to enjoy this October half-term. 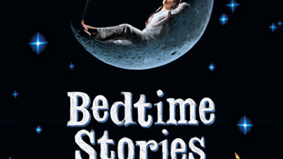 But don’t expect this to be a definitive guide, it’s just a little pot of ideas to get you going – if you like the idea of going to the theatre with your children but don’t live near London, don’t despair, I’m sure there’s a theatre near you that will have some fun lined up for the half-term holidays. The London theatres are packed with shows to entertain and enchant kids of all ages (and parents of course) and if you’re lucky enough to live near enough to enjoy the offerings of the capital, then check out the comprehensive Time Out guide to see what’s on offer during the half-term break. Another great rainy day option (and let’s face it, it’s bound to be raining on more than one day in the holidays I’m sure!) is to head to a museum for the day. Again, if you live in the London area, the choices are endless with something for all the family whatever your age and interests, but why not check out your local town to see if they’re organising something special for kids during the holidays? For families in the Midlands, there’s a huge choice of child-friendly museums which will inform and entertain all the family when the rain decides to stop play – the question is whether you’ll have enough time to enjoy them all! 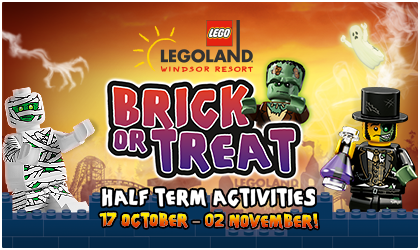 If the rain stays away why not consider taking your little monsters to the ever-popular Legoland this October half-term? Let your kids experience the special Halloween ‘Brick or Treat’ event with all the usual awesome fun rides and attractions, plus the spectacular fireworks display portraying an epic pyrotechnic battle between the heroes and the evil villain. I thought this might be a fun outing too for families who are within easy reach of Winchester – chance for your dinosaur-mad kids to play the time detective on the fascinating children’s trail through Winchester Cathedral. 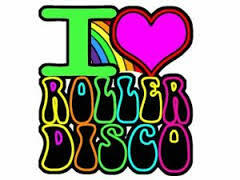 And if they still need to work off some energy how about checking out a kids roller-disco near you? There’s a great kids play centre near Manchester that has roller discos for youngsters aged 4 to 12. I hope you’ve enjoyed reading my holiday days out blog and have got some good ideas for how you and your family can have fun during October half-term. Look out for my Halloween-inspired blog coming soon..